Current development environments have changed a lot over the past decade or so. Right now, it is all about moving fast and that to efficiently. To make it happen, we have DevOps. It is defined differently by different people. But, it mainly termed as generating value by providing a common place for all the pieces to connect and work. It is about providing valuable end-user experience and requires complete end-to-end knowledge. 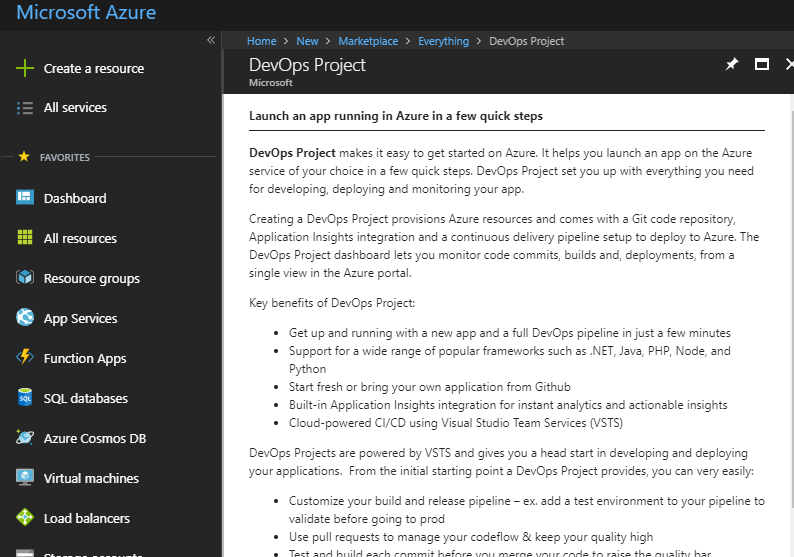 As you can see, the goal is to set up a Azure DevOps Pipeline which can be used for continuous app deployment. In today’s article, we will go through a complete tutorial on how to set up continuous integration and continuous development (CI/CD) with Azure. To do so, we will be taking help of Azure services. We can setup CI/CD using all these three methods. How To Work On Azure DevOps Pipeline? The service is useful if you want to host your API or web application. 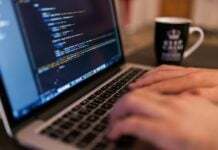 Generally, as a developer, you have the source code of your application, and now you are looking for a solution that will help you do continuous deployment. This way, you can be sure that new changes get live instantly without you going through the whole process again. To get started, you need first to open up the App Service and then use the deployment feature. Let’s go through the steps below. Step 1. Open deployment options in your App Service. Step 2. Now, choose the source where your code is deployed or saved. Step 3. Next, you now need to source code repository. Step 4. Once you do so, you now have to choose the source. After that, you need to enter the authentication details for your work. Step 5. For this tutorial, we will pick up the most popular online repository service known as GitHub. Step 6: Once you select, the process will execute on its own. All you need to do is wait for it complete as it builds and deploys your GitHub source code into the App Service. This is a one-time setup. 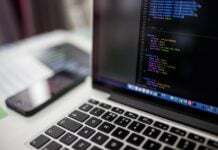 After that everytime you make changes to your code, the source code will automatically be built and deployed with the help of the App Service. The feature can help a group of developers work on a live app without waiting for other developers to make changes. Moreover, the pushed changes can be seen directly from the Developments Options blade. Azure DevOps Projects provides the developer with an automated way to do Continuous Integration and Continuous Deployment. 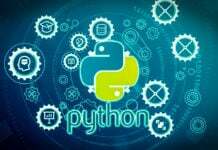 It provides an easy-to-use AI that makes it easy for developers to handle their project. Also, it is not a separate service, but just a UI on the existing service provided by Azure. 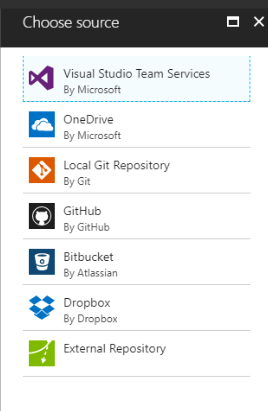 It works by adding a build and release pipeline using the Visual Studio Team Services(VSTS). After you have done selecting, it is now time to tell the wizard on where you want to deploy your application. You can choose any hosting platform until and unless it works with your app. It supports Web Apps on Windows and Linux. You can also choose Web Apps for containers if you want to take advantage of the Docker technology. However, you need to create a new Visual Studio Team Services account before you can proceed further. Simply create one and you are done. 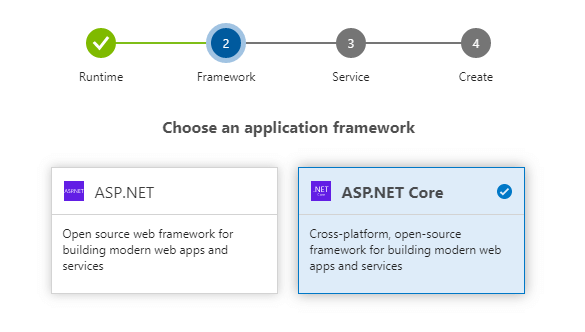 Your app is now ready to be updated continuously using VSTS service. As a developer, you are all set. You can further configure your app and how the deployment behaves using the VSTS service. To get a better understand, let’s explore VSTS below. 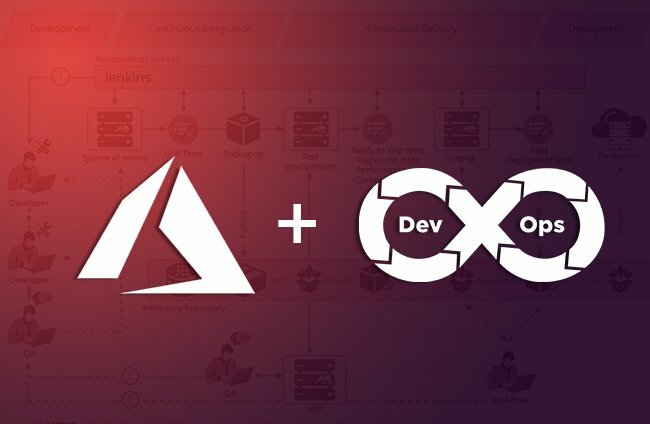 VSTS is one of the best ways to create a CI/CD pipeline using Azure. It is similar to the Team Foundation Server with the only difference of being online. You can use it to completely manage your app, starting from source code building for deployment. Also, it is not a necessity to use Azure cloud services. You can choose any of the available cloud services. With VSTS, you can not go wrong. 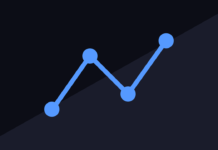 You can monitor every aspect including work items, deployments, source code and also do performance tests. It is so reliable that even Azure DevOps uses it and that’s why we are discussing it here in the first place. To get started, you first need to create an account with Visual Studio. Once done, all you need to do is save your source code, and then build and release pipelines. VSTS offers a great feature known as release definitions. You can setup release definitions which can be used to configure multiple environments. This makes it easy for you to manage different aspects of the project including Production, Dev, etc. Projects can also be managed using VSTS as it allows the admin to approve the changes before it is released to live app. As a developer or an organization, continuous development can change how you build and deploy your app. 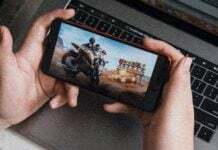 It can help you quickly bring new changes to your app and also fix critical bugs in your app and push them to the live server. It also ensures that your app is mostly bug-free and bring the most out of your time. Azure service in this regard is also top-notch. It lets you do CI/CD using three ways. We discussed all three of them. Out of all of them, VSTS is the most dynamic and useful method. So, what do you think about Azure DevOps pipeline? Which method are you going to choose? Comment below and let us know. Previous articleReact Native vs Flutter: which is better? Next articleHow To Build Application Using Angular JS & Spring Data JPA?